The holiday season is upon us. Food, friends, family and GIFTS! Spending an exuberant amount on holiday gifts was the norm in my house as a child. That habit followed me into adulthood. I’d wildly overspend on gifts and end up with a financial hangover that’d last for months into the New Year. There isn’t anything wrong with buying gifts. The problem we found was that we couldn’t even remember what we got the prior year! This led us to the realization that we’d rather have a strong financial future over some arbitrary gifts. If you’re going to give gifts this holiday season, you should consider gifting a loved one the ability to get out of debt! The books listed below hold that potential, and more. Wouldn’t the ultimate gift be to help a loved one gain control of their financial life? Giving the gift of financial literacy could be worth millions, and will could cost you less than $20… Not bad, right? 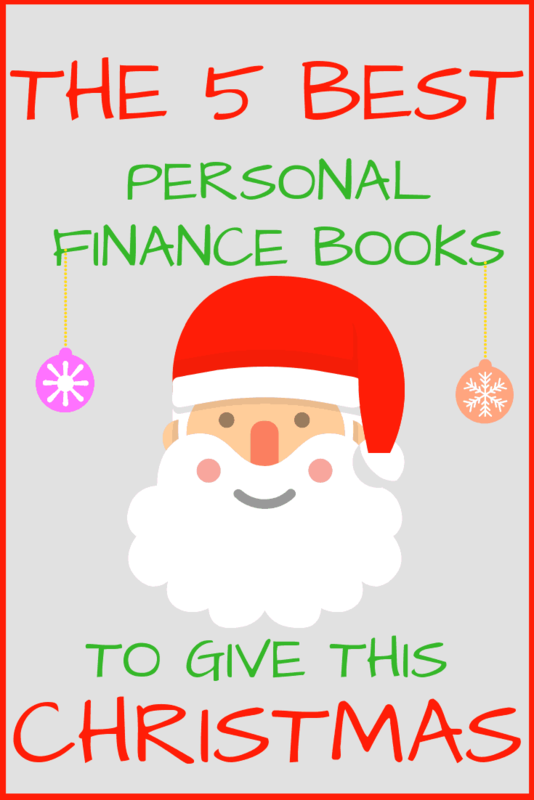 The 5 BEST books to help get you out of debt!! I couldn’t possibly have a personal finance book list without good Ol’ Dave on it. Dave Ramsey’s personal finance book should be a staple in every personal finance library. The book focuses on teaching you Dave’s “Baby Steps” and “Debt Snowball”. Dave preaches that you follow his steps 1 through 7 in order and utilize the debt snowball approach. The book is loaded with motivation and easy to understand finance lingo. The motivation we got from this book was immeasurable. It literally changed our lives and helped us pay off $109,000 in debt! Whether or not I agree with his long term wealth building ideas is irrelevant. This book will set a fire under you like non-other. If you or a loved one are in debt, this is a great start to getting debt-free! If you’ve listened to any Bigger Pockets Podcasts, you’ve probably heard reference to this book. Hearing people far more successful than I quote this book makes it a staple in my personal finance library. 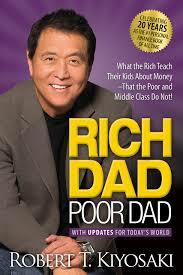 Written by Robert Kiyosaki and Sharon Lechter, the book follows Robert’s life and discusses the differences between his Dad (poor dad) and his Dad’s friend (Rich Dad). He discusses the differences in these 2 men, and how their views on money shaped their success… or failure. It brilliantly discusses the differences between an asset and a liability. Robert also crushes the concept that you need to earn a high income to become “rich”. Robert takes a unique stance on your home as an asset and he passionately works to help you build a strong financial foundation for you and your children. I read this book years ago and plan to re-read it soon. Now that we’re debt-free, I’d like to explore his wealth building concepts. 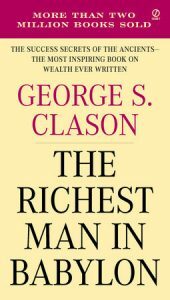 Easy to read and quick to digest, “The Richest Man in Babylon” is a book by George Samuel Clason. The characters in the book are taught lessons in personal finance. A fun fact about this book is that it was actually a collection of pamphlets that banks used to give out. The pamphlets were eventually put together into a book in 1926. Even after 92 years, this book teaches amazing lessons through the use of parables and stories based in ancient Babylon. Concepts such as saving, investing, and spending habits are taught in a fun, easy to understand method. I love this book because it’s so quick and easy to read at less than 150 pages. Buy it, read it, and give it to someone you love! This is a book based around research completed on millionaires. How’d they get there, where do they live, and what choices do they make that we might not suspect? This book answers all of those questions and offers a plethora of surprises as well. 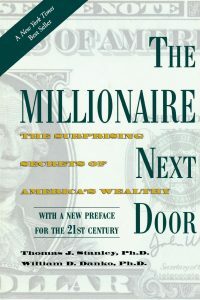 The coolest part of this book is that they found most millionaires are actually living in middle class neighborhoods! They aren’t all doctors or people living a “white collar” life. That’s the kind of motivation that Middle America needs! The book details the habits of millionaires. Items from spending habits, saving, investing, credit use, education, and career choices. Most people want to be “rich”, so… why not take the advice from those who are already there? You can become a millionaire, and this book helps you understand how to get there! Talk about an eye catching title! Automatic Millionaire? Yes, please! 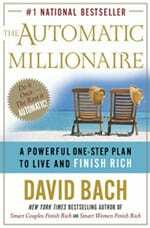 David Bach focuses on two main points in this book. Paying yourself first and the power of compounding interest. 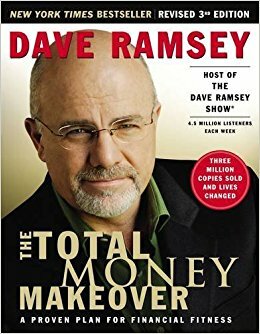 David details how even a small amount of money saved today can amount to millions down the road, it’s an amazing concept to teach your kids, and it’s a book I wish I read when I was much younger. One of the best points in this book is what David calls the “Latte Factor” (I’m sure you’ve heard that before). The point here is that tiny expenditures can add up over time and that money can be better saved and invested. In my opinion, this book would be great for your high school/college graduates. Why not give them a head start on life? I wish someone would have done that for me! Gift giving can be stressful. Take the stress out and help someone gain control of their finances this year. As Cousin Eddie says, “That’s the gift that keeps on giving the whole year”. ⟵Will A Land Loan Make You Rich? Nice list! I’ve read most of these. I’ve gotta say that the Rich Dad, Poor Dad book rubbed me up the wrong way when I read it a few years ago, but I wonder if I’d get more value from if I re-read it now. I’ve heard that from others, but I’d try it again! !